The parents of children with special needs rarely have time for thoughtful contemplation of the daily challenges they face, so consumed are they with multi-tasking on myriad levels. Every once in a while, we are blessed with an inspiring look into the hearts and souls of these battle-weary warriors on what it means to be the parent of a child with special needs. Salma Ahsan, D.O., based in Athens, Georgia, is the parent of two children with special needs, and has lovingly penned the following reflection for the families she works with in her practice. She has agreed to share it with those of us who love and support these families as allied professionals. I have always known your heart, just like you know mine. It is my hope that these poignant insights will increase the compassion of those of us who work with these amazing families and make us more effective in our efforts to support them. Welcome to Your Legal Hour! Please be sure to scroll down below the video to access the handouts for this week's session. National Communication expert and guest speaker George Ira Carroll shares a short – less than 4 minute - video. You don't want to miss this to hear "why" your purpose story is so important to your practice. Bottom line, your purpose story helps you understand your “why.” And when you know your why, and your purpose story, you connect faster with your referral sources and prospects and develop a sense of trust. At the Practice Enhancement Retreat George and Dave will help you pull out your purpose and help you connect and use it as the foundation in your marketing. Day One will fine tune your presentation skills and increase your conversion ratio. Which will increase your bottom line. If you haven't registered yet, do it now! Safe travels and let's start the work on enhancing your practice today! A little over four weeks ago, we had the unbelievable honor of closing down LWP headquarters for 3 days and heading to Olathe, KS - the entire company, including “new guy” Kyle who had been with us just six weeks. It was a hefty financial price, but the cost would have been so much more had we not. Why Kansas, you ask? For more than 17 years, Integrity Marketing Solutions has been helping attorneys build a more profitable and enjoyable estate planning practice with proven, effective and affordable elder law and estate planning marketing solutions, and we have been very friendly with them for all of those 17 years. At the last convention where we both exhibited, we got to talking shop and next thing you know we’re headed to Kansas to hear more about what they’ve been doing to transform estate planning law practices all over the country. I was surprised recently to see an email from the owner of the financial services firm with whom I have been trying to work for years. When I opened it, I discovered he was inquiring about a client we shared. He was questioning the irrevocable trust I had done for the client that allowed the client to serve as trustee. He was further confused by my instruction to the client that the irrevocable trust I entered for him did not need a tax identification number. He asked me if the client understood me properly or whether I had made an error. It is essential today that, if you are helping individuals concerned about protecting their business or personal assets from general liability or from long-term care costs, you must be intimately familiar with how the iPug™ genre of trusts meets many if not all clients’ needs. In my experience, most clients who come to me for planning have three requests: 1) I want to stay in control of my assets; 2) I want to protect my assets from the government and the cost of long-term care; and 3) I don't want to become a burden to my children. All three goals can easily be met when doing proper planning using an Irrevocable Pure Grantor Trust. Another blind spot for business owners and their financial professionals is the belief that creating an LLC or a corporation protects their assets. While the business owner's personal assets will be protected from the liabilities of the LLC or corporation, the ownership of the LLC or corporation will be at risk to the personal liabilities of the owner (including lawsuits or long-term care costs). An Irrevocable Pure Grantor Trust is a mechanism that allows business owners to maintain control of their assets and the freedom to continue to develop their business while protecting it not only from the creditors of the business but also the personal liabilities of the business owner. Obviously the best defense is a good offense. Making sure you don’t live in a bubble and are fully aware of how Irrevocable Pure Grantor Trusts are becoming the trust of choice for the 99.8% of Americans who are no longer concerned about Estate Taxes will ensure you a prosperous practice and identify you as a counselor to guide your clients to the solutions that best fit their needs. In this era of increased litigation, one would think businesses would be more conscientious and consumers would do more investigation. Unfortunately, this is not the case, especially when it relates to veterans benefits, causes and representation. Just this month, a 51-year-old woman in Illinois who was “helping” disabled seniors who could not manage their own affairs was charged with mail fraud. As representative payee for these individuals, she was using their Social Security and Veterans Benefits to pay her own bills, to the tune of $500,000. Last year, the directors of Help Hospitalized Veterans (HHV), a non-profit, were sued for misrepresentations in solicitations for funds from people who have compassion for veterans. The lawsuit complaint requested that the president and board members of the charity be penalized $4,000,000. In addition to excessive compensation for board members, they also benefited from country club memberships and a condominium outside of Washington D.C. Less than one third of the donations received were actually used for veterans. According to tax records, HHV received $31 million in 2011 and $45 million in 2012. On August 30, 2013, the Government Accountability Office (GAO) issued another report on the Veterans Affairs processes and procedures affecting veterans. This particular investigation was directed at the VA’s ability to verify the worthiness of accredited agents who represent veterans when filing claims. The GAO also attacked the limited education requirements and on-going monitoring of the program once an individual is accredited. The GAO’s concerns are that (1) many accredited agents are not trained competently to help veterans; (2) after obtaining accreditation, other than self-reporting, there are no other efficient ways to monitor and ensure that the agents remain in good standing; and (3) there are numerous individuals assisting veterans who are not accredited. The VA only has four dedicated staff members to receive, review and approve applications for accreditation and to monitor the more than 20,000 accredited agents, with no plans to expand the staff. Thus, it is clear that even though the VA has been requiring formal accreditation for anyone who helps veterans prepare, present and prosecute claims, there is no guarantee that the person is qualified, in good standing or even accredited. Whether the veteran is relying on another to manage funds due to him, contributing to a favorite charity, or hiring a lawyer or agent to assist with filing a claim, it is incumbent upon the consumer – the veteran – to do a higher level of investigation when hiring a representative. Not all representatives are created equal. Not all non-profits attribute donations to the intended recipients. And not all people who “want to help” are benevolent. Go to http://www.va.gov/ogc/apps/accreditation/index.asp to see if the person is accredited by the VA. If not, stay away, even if the person provided the best steak dinner and polished seminar on the subject, or is actually a veteran as well. If the person is a lawyer, go to the state bar website and see if there are any bar complaints. If the person is a financial advisor or insurance (annuity) sales professional, check the Securities Exchange Commission or state Insurance Commissioner’s office for any negative history. If not accredited by the VA, ask if a lawyer is involved, who the lawyer is and whether the lawyer is accredited by the VA. Also, go to the professional’s website and verify any credentials. Does the person assist with “planning” and preparation of the VA application or just refer you to a veteran service organization after completing the planning? If the latter, who is going to represent you if there is a problem with the application? If the professional says, “I won’t charge you anything” to help, ask more questions about compensation (i.e. from commissions or an annuity)? No one works for free. Use people who have been personally referred to you by another person who has actually used that person. A referral from a senior community that holds seminars is not a referral – they may know the person, but they likely have not hired the person for their own planning. Ask what organizations the person belongs to, and whether the organizations are reputable. For example, reputable organizations that provide training on VA benefits include: Veterans Advocates of America and Lawyers With Purpose, LLC. 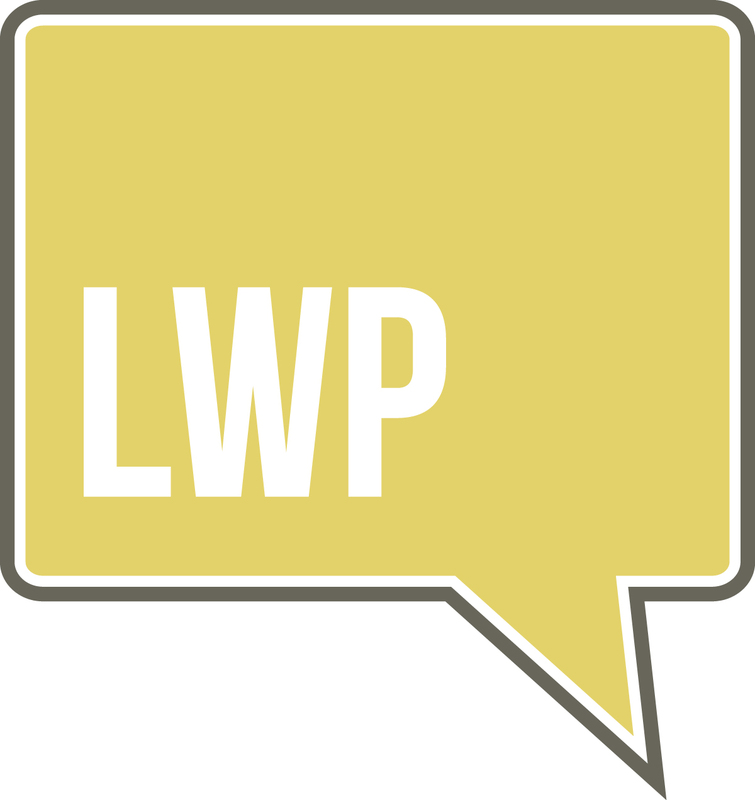 If you would like more information about the lawyers that are members of Lawyers With Purpose, go to www.LawyersWithPurpose.com. The lawyers of this membership receive on-going, timely information about veterans benefits by the leading national VA Pension Planning expert, Victoria Collier, author of “47 Secret Veterans’ Benefits for Seniors” and co-founder of Lawyers With Purpose, LLC. The three most confused terms in Medicaid planning are the look back date, the look back period and the penalty period. If you go to any beauty shop or coffee shop and ask the people what would happen if they transfer assets, the common answer will be that they are ineligible for Medicaid for sixty months. Medicaid practitioners know sixty months is merely the period of time Medicaid can look back at the financial records of a Medicaid applicant, a.k.a. the “look back period.” The period of the look back (sixty months) has no impact on qualifications. The look back period begins on the look back date. The look back date is the date a Medicaid applicant resides in a care facility and applies for benefits. It is critical that a practitioner understands this distinction. If a client resides in a nursing home and you apply for medical before continuing the client’s eligibility, you can disqualify a client from medical and create a penalty period that is far greater than sixty months. This occurs when there is a large uncompensated transfer within the look back period. Once Medicaid looks back at the financial records from the look back period it examines whether any uncompensated transfers occurred. An uncompensated transfer is the transfer of assets made by an applicant to someone else with no compensation in return. Gifts are typically the most common uncompensated transfer. If there is an uncompensated transfer, Medicaid will deem the applicant ineligible for a certain number of months based upon two factors: the amount of money transferred and the monthly divisor in the region where the applicant lives. Each state must publish, at least annually, the average cost of one month’s private pay nursing home cost for the region. If the average monthly private cost of a nursing home was $5,000 and the uncompensated transfer was $100,000, the applicable penalty for the transfer is 20 months. So the 60‑month look back period has nothing to do with how long an applicant may be ineligible, it’s merely a period of time Medicaid can look back at financial records to determine if an uncompensated transfer occurred, and if so, then calculate the penalty period based on the amount of the uncompensated transfer and the regional divisor. The final dysfunction from “The Five Dysfunctions of a Team” is Inattention to Results. This dysfunction means that team members are solely focused on emphasizing their own successes irrespective of the overall company outcome. Inattention to results is very destructive when it becomes hyper focused on just the system and processes. One example is when the team disconnects with the experience of the clients and the push to go above and beyond, and instead merely interacts with the business and clients as a checklist. They are focused on the “tasks” vs. the outcome and long term impacts. Overcoming inattention to results has to include a public declaration (and inspection) of results. Most of you have heard me say it a million times; the systems and process are there to guide and serve the results. The systems free us up so we can spend our energy on inspecting and tracking the results. You can then re-course when need be, but in the moment, not after the fact. So where would you like to be with your team in the remaining months in 2013? What I would wish for every small business owner is nothing short of a team of trust, healthy conflict, commitment, accountability, and one that is focused on results. But most importantly, have a team that has a ton of fun while making a big, gigantic difference, daily. I invite you to take the “Five Dysfunctions of a Team Assessment.” If your interested please contact me at mhall@lawyerswithpurpose.com. For every person committed enough to do this, I will offer a 1 hour diagnostic call with your entire team. We’ve been blogging about how “The Five Dysfunctions of a Team” by Patrick Lencioni has become the world's definitive source of practical information about building teams. The fourth dysfunction he discusses is the Avoidance of Accountability, specifically peer to peer accountability. This issue arises from the desire to NOT let down your peers, which is VERY strong in the workplace. In the model from the book, the avoidance of accountability is a byproduct of the underlying dysfunctions of the team. Without stable commitments, even after healthy conflicts are addressed, we tend to not hold people accountable. We have a hard time holding people accountable when we know they were never really committed. Or, quite possibly, maybe we are the ones lacking commitment. In the context of teamwork, accountability refers specifically to the willingness of team members to call their peers on performance or behaviors that might come off as hurtful. Holding each other accountable doesn’t have to be aggressive, but it does have to be honest and frequent. The make or break of this depends solely on your team leaders’ willingness to hold all members of the firm to their goals and dreams, often in spite of themselves. Without committing to a clear plan of action, even the most focused and driven people often hesitate to call their peers on actions and behaviors that seem counterproductive to the team – and that’s the birthplace for resentment and frustration. Team leaders must give every team member (yes, attorneys too) a clear understanding of what is expected of them, what the team standards are, what needs to get done, by whom and when. This should be communicated weekly at your team meetings, and summed up and distributed in writing. Once this environment has been created, it is ultimately up to the team leader to consistently remind everyone of the group goals. Imagine a team that holds one another accountable and people not only expect that but depend on it, weekly. Such a team is on its way to escaping a world of dysfunction and mediocrity.